How can I handle the impossible task of keeping my house clean? My sweet friend asked me to talk about this subject. When I think of a clean house I think peace and serenity. I have to be honest I am a little bit of a freak for things in their place. I can keep my house pretty straight because I do not have a lot of knick knacks, I think this is a key. If you have a lot of clutter you have a lot of things to clean. If I need to do a quick clean, I ask each child to take 2 rooms and straighten them. It takes them approx. 10- 15 min. to straighten each room. I always say to them that we are a team and I cannot do it without them. Even though they are not thrilled about chores, they feel a sense of ownership as a member of our team. I tell them that I cannot do it without them and how much I need their help. 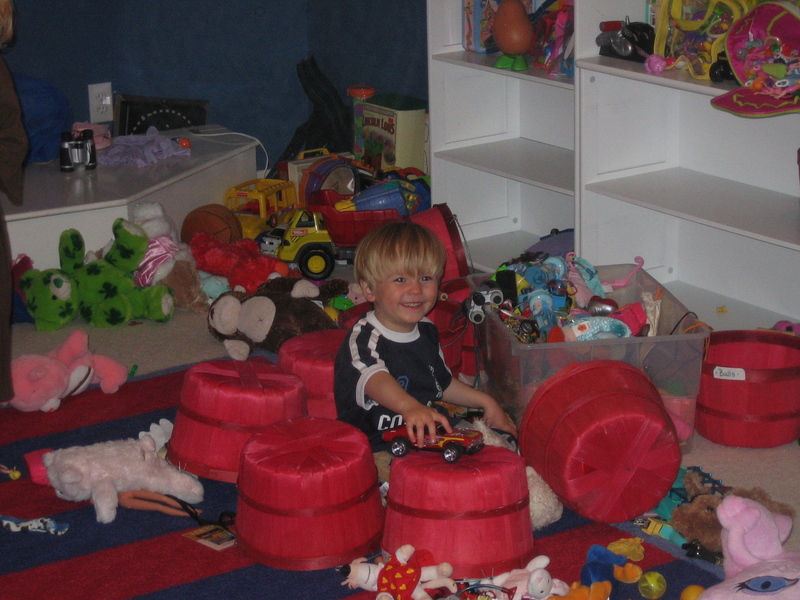 It is amazing how a messy house can be transformed within 30 min. We also have each child do at least two chores each day. Usually each chore takes them about 5-15 minutes. Some of our chores include: setting the table, wiping the blinds, cleaning the bathroom sinks, picking up the dog toys, feeding the dog, clearing the table, cleaning out the trash in the car, and unloading the dishwasher. (We keep a chore chart on the refrigerator, if you want a copy let me know.) They can earn up to $6 each week if they complete their chores. And we pay them on COMMISSION – the Dave Ramsey way. If you work, you get paid – if you don’t work, you don’t get paid (sounds a little like the REAL world!). Each night before I go to bed, I straighten up each room downstairs so when I wake up in the morning I can start fresh. Even if I am so tired I make myself do this so I don’t have to feel like I still have yesterdays work to catch up on around the house. I can tell you this, it’s a constant battle and the work is NEVER done! Great message of encouragement here. I just had a “Help me!” chat with my two daughters, 9 and 13. We need more structure. My verbal reminders are wearing me out. . .Thanks.